The products and retailer Fresh Hoods are high quality with a fairer price tag than most other All Over Print companies. The brand of blanks that they use is Reverb for tees and hoodies. 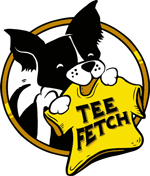 They use soft polyester blanks for Hoodies and Tees. The brand of Hoodie carried and shown above is "Reverb". The sizing ranges from S to 3XL in US sizing for Tees and Hoodies. The fit runs larger than expected. The garments tags depend on the product ordered, some are tagless or a tag so tiny it doesn't matter. As for the printing method, they use the Sublimation technique. Therefore they have excellent ink coverage and colors. We feel that the Fresh Hoods products are a worthy purchase and therefore should not result in any buyer's remorse.